Hodge-podge. That precise, academic term is the first that used to come to my mind when thinking of the Book of Deuteronomy. And it didn’t bother me that this was so; in fact, it seemed most fitting. After all, this was Moses’s goodbye speech to the people to whom he had been utterly devoted for the last 40 years. Of course, it’s a jumble of reminiscences of their most memorable times, veiled reprimands, concerned cautions not to fall prey to the idol worship of their soon-to-be-neighbors, and insistent reminders to punctiliously observe the divine commandments that he had bequeathed to them — just as a parent’s last goodbye as they drop their child off at college is often a hodge-podge of recollections of fond memories, advice and admonishments about everything ranging from laundry to finances, cautions against the influences of the campus culture, and pleas to maintain committed to the values they’ve imparted the last 20 years, all in no particular order. However, years ago, a teacher (I wish I could remember who so I could give him or her credit) recommended an awesome exercise: to read through an entire book of the Torah cover-to-cover, in one sitting. I did so with the Book of Deuteronomy and was stunned by what jumped out from the pages. This seeming hodge-podge of a book is actually all about one singular event! And that event doesn’t even seem all that significant in the grand scheme of Jewish history; I would venture to guess it wouldn’t make it on anyone’s Top Ten list of the Jewish People’s Greatest Moments. That event is the covenant of Mounts Gerizim and Ebal that God commands the Jewish people to enact there, upon entry to the Promised Land. First, let’s examine the textual evidence that leads to this startling conclusion that the entire book is actually all about this singular event. At first glance, this covenant does not seem exceedingly significant. It is mentioned only twice, once for a mere seven verses in our parsha (Deuteronomy 11:26-32), and the second time, 16 chapters later, in Parshat Ki Tavo (27:1-26). Between these two descriptions are 15 chapters of seemingly random, detailed, practical laws, which seem unrelated to the ceremony to be enacted on these two mountains. However, when reading it all in one fell swoop, one notices that the description of the covenant in our parsha begins, “See I am placing before you today a blessing and a curse. The blessing [you will receive] if you follow the commandments of God that I am commanding you TODAY, and the curse if you do not observe the commandments of God and turn astray from the path that I am commanding you TODAY (11:26-28; see also 11:32-12:1).” Thus, what emerges is that the 15 chapters of seemingly random laws found in chapters 12-26 do not serve as a barrier between the two descriptions of this ceremony, but rather as a bridge between them — because they themselves are an integral part of the covenant. These are the laws whose observance or violation will lead to the blessings or curses promised on Mounts Gerizim and Ebal! In fact, the Torah highlights that the main bulk of this book is all one long description of the covenenant — Brit Har G’rizim V’Har Eival — by beginning and concluding the description of it using virtually identical language, creating a kind of envelope or bookends. The final description of the covenant in 30:15-19 concludes with the phrase: “See I have placed before you today… the blessing and the curse,” which points us back to the opening phrase or bookend in 11:26: “See I am placing before you today a blessing and a curse.” Thus, all of what comes in between these two bookends, namely chapters 11-30 (20 of the book’s 34 chapters!) are all part of one grand narrative of the ceremony to be enacted on these two mountains upon entry to the Land. The obvious question is: What is the significance of this ceremony that earns it the lion’s share of an entire book of the Torah, far more coverage than that received by Creation, the Exodus, or even the giving of the Torah on Mount Sinai? The key lies, I believe, in noticing the striking similarities between the covenant enacted on Mount Sinai and that enacted on Mounts Gerizim and Ebal. First and foremost, Mount Sinai has the identical structure of one description of the awe-inspiring event (Exodus, chapters 19-20), followed by seemingly random, detailed laws (Exodus Chapters 21-23 of Parshat Mishpatim), finally followed by another description of the ritual ceremony (Exodus, chapter 24). Clearly, what strikes us as bizarre — namely, the insertion of halachic minutia in the midst of majestic, awe-inspiring Divine — human covenants — is the Torah’s norm. The message seems to be that in the Torah’s conception, there is no such thing as an inspirational interaction with God that does not find expression through halacha, and no such thing as halacha not infused by a meaningful relationship with God. The similarities between the covenant of Sinai and that of Mounts Grizim and Eival do not end with their shared structure. Both covenants involve virtually the identical procedures. In both covenants, Moses first has to TELL the people all of God’s commands, then WRITE them down, then BUILD an ALTAR, then set up 12 STONES as a monument, and finally sacrifice OLOT and SHLAMIM (compare Exodus 24:3-5 and Deuteronomy 37:1-7 to see the obvious parallels.) In addition, there’s the conspicuous fact that both covenants transpire on the tops of mountains. 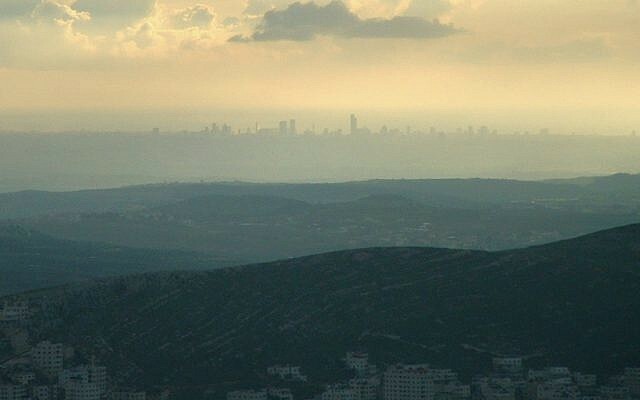 The clear message, I believe, is that the covenant to be enacted on Mounts Gerizim and Ebal upon entry to the Land is the second generation’s Matan Torah, the concretizing of their unique relationship with God. THAT is in fact something worthy of virtually an entire book of the Torah. Significantly, each generation’s covenant with God is tailor-made to uniquely suit its particular needs. Consider the differences between the two covenants. At Mount Sinai, the people are warned repeatedly not to touch the mountain, and they cower in the background, daring to speak only so as to express the request that God stop communicating with them directly, lest they perish. In contrast, at Mounts Gerizim and Ebal, the people stand at the very tops of the mountains, and verse after verse repeatedly informs us that the entire nation declares, “Amen,” after each and every utterance. Gone is the passive experience of the generation that leaves Egypt through God’s miraculous intervention and then lives by God’s protection and sustenance in the wilderness. Enter the new generation that will conquer the Land utilizing military ingenuity, and that will then invest herculean efforts to farm that Land. Similarly, the focus at Gerizim and Ebal is no longer on the laws themselves as it is at Mount Sinai. Instead, the emphasis has shifted to the CONSEQUENCES for observing or violating the laws, since this generation will proactively forge their own destinies, rendering the link between their success and their observance of God’s commands less obvious. The powerful message that God and Moses are conveying to the Israelites — and us — is this: Matan Torah — the revelation of the Torah — is not an event frozen in time to be pulled off the shelf of our collective memory every so often, dusted off, and remembered wistfully as something that occurred long ago for our ancestors. Matan Torah is ALIVE. Our relationship with God — both individually and communally — is dynamic, personal, and ever-evolving. And I would suggest that this is the message not only of the final book of the Five Books of Moses, but through many laws and at critical junctures throughout Jewish history. The commandment of Hakhel to gather the entire nation every seven years for a mass reading of the Torah expresses the message that EVERY generation should renew its covenant and relationship with God (Deuteronomy 31:10-13), as does our reenactment of Matan Torah every week through communal Torah reading (see Shulchan Aruch Orach Chayim 141:4 with Mishnah Berurah). Furthermore, Tractate Shabbat 88a informs us that during the Purim story, the Jews re-accept the Torah (“kiymu mah she-kiblu kvar” — they upheld that which they had already accepted). I would suggest that this occurs precisely at that time because the Purim story takes place during the first exile of the Jewish people, following the destruction of the First Temple. Perhaps it is precisely then, as the nation is reeling from the devastating calamity and seeming betrayal of exile, that God miraculously saves them, embracing them with the message that He has not in fact deserted them. (And here too, God conveys the message in a way uniquely suited to that generation — hester panim, through hidden means; God’s name is absent from the megilla). And perhaps, we can suggest that in our own times, the extraordinary miracle of the reestablishment of the State of Israel so closely on the heels of the staggering devastation of the Holocaust is God’s message that though we may never understand His ways, He has not abandoned us. And so, it seems to me that there could not possibly be a more perfect message for the final book of the Torah than that this is not the end; it is merely the beginning of what will be a new era in our nation’s infinite, dynamic, ever-developing relationship with the Divine. Dena Freundlich teaches Gemara and Halachah at Midreshet Lindenbaum in Jerusalem. She also teaches Halachah at Midreshet Torah v’Avodah, and has lectured in many schools and institutions on topics related to Tanach, Halacha, and Gemara. 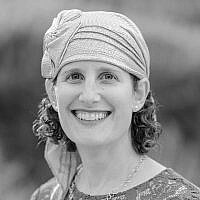 Prior to making aliyah in 2010, she served as Talmud Department Chair at Ma’ayanot Yeshiva High School in Teaneck, NJ. She holds a BA in Biology and Jewish Studies from Yeshiva University’s Stern College for Women, an MA in Bible from the Bernard Revel Graduate School, and was a member of the first graduating class of YU’s Graduate Program for Advanced Talmudic Studies (GPATS). She lives in Efrat with her 3 children.